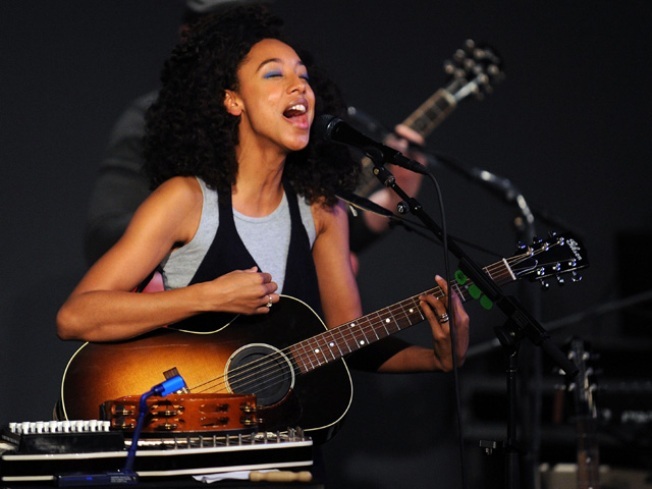 See Corinne Bailey Rae this weekend at the TLA. Party 2010: Help support Philadelphia Academics this Saturday night with your favorite celebs at Water Works. Honorary Chairs Nicole Miller, Tony Danza, Bud Konheim, Ahmir "?uestlove" Thompson (of the Roots) and Honoree-Bill Sasso, will gather together to raise money for academic support, life skills and career education for over 4,500 Philadelphia public high school students. Cocktails, dinner, a live and silent auction as well as plenty of music and dancing will be included in this night full of awards and an after-party reception. Water Works Restaurant and Lounge, 640 Water Works Drive, Philadelphia, Pa. 19130, $75-$250, 6 p.m.
Monica in AC: Take a trip to A.C. for the weekend to see R&B superstar Monica at the House of Blues. She has sold over 15 million records worldwide and has been on top of the charts since the 90s.You may remember her from her huge hit, “The Boy is Mine,” but Monica is back with a new sound and album titled Still Standing, the same name of her new television show. For under $50, see this singer, actress and fashion designer do her thing Saturday night. House of Blues, 801 Boardwalk, Atlantic City, Nj. 08401, $30-$40, 8 p.m.
Corinne Bailey Rae: Grammy nominated R&B singer, Corinne Bailey Rae, is in town this weekend at the TLA. Bring a date this Saturday night to hear the soulful songstress sing hits like “Like a Star, “Put Your Records On” and her latest, “Paris Nights/New York Mornings.” Be sure to pick up Rae’s latest album, The Sea, in stores now. Theatre of the Living Arts, 334 South Street, Philadelphia, Pa. 19147, $27.50, 9 p.m.
SundayOUT: Over 100 vendors, boutiques, restaurants, community organizers and artisans gather together this Sunday as Equality Forum presents SundayOUT at Piazza at Schmidt’s. The trendy hot spot will host something for everyone in this all-day GLBT event. Beginning at 1 p.m., the festival will also include music, movies, a commitment ceremony, fashion show, cabaret and more. Celebrate all day and night in Northern Liberties.Piazza at Schmidt’s, North 2nd Street and Girard Avenue, Philadelphia, Pa. 19123, $5-$10, 12 p.m.
Sia Live: Aussie pop-jazz singer, Sia, will be live this Sunday night at the TLA. Her eccentric style and sound makes her unique, giving the music scene a breath of fresh air. You may have heard her song “Sunday” on the Grey’s Anatomy soundtrack or possibly recognize her from her work with Zero 7, but Sia is solo Sunday night, ready to show Philly what she’s made of -- see Sia for only $20. Fillmore at the Theatre of the Living Arts, 334 South Street, Philadelphia, Pa. 19147, $20, 8 p.m.